Sadly, summer is coming to an end. 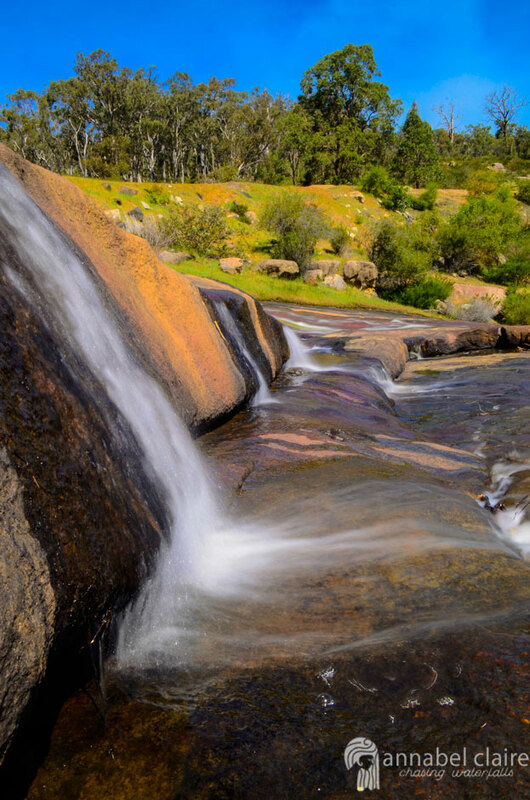 It’s made me rather nostalgic for all the beautiful waterfalls & swimming holes near my hometown of Perth. 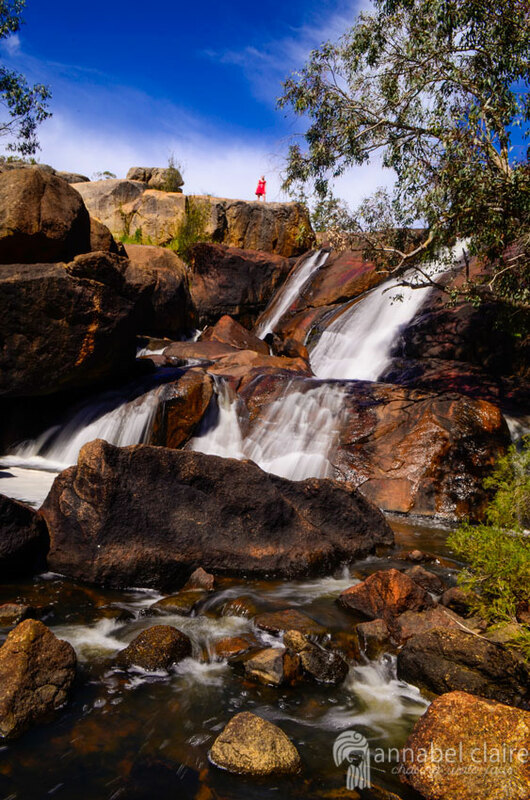 For those who are lucky enough to live in this isolated city, or passing through during an end-of-summer visit, here are the Top 10 Waterfalls and Swimming Holes to Visit Near Perth before summer’s over! *Notice how I said near Perth. Some of these require 3+ hours of driving, but most are within 30mins-1hr of Perth’s CBD. Happy adventuring! 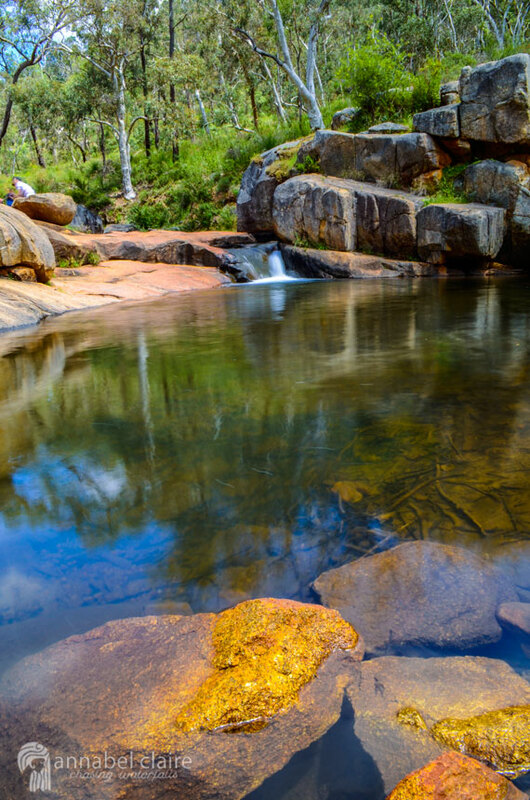 Located 55kms South-East of Perth (an hour and 10 minute drive), Serpentine Falls National Park is the perfect spot for a picnic lunch and dip in the (albeit slighty freezing) cold pool. Park open 8:30am – 5pm, usually busy after 10am. $13 entry for vehicles (as at October 2017). Easy, flat walk to falls from carpark (400m). Facilities include: BBQs, toilets and picnic tables. Take care: No cliff jumping or diving, deaths have occurred here. 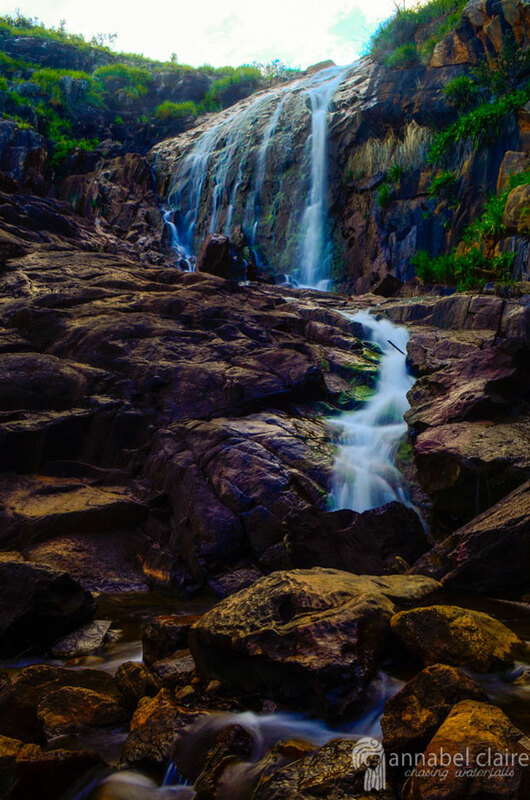 Click here for more information on how to get to these falls. 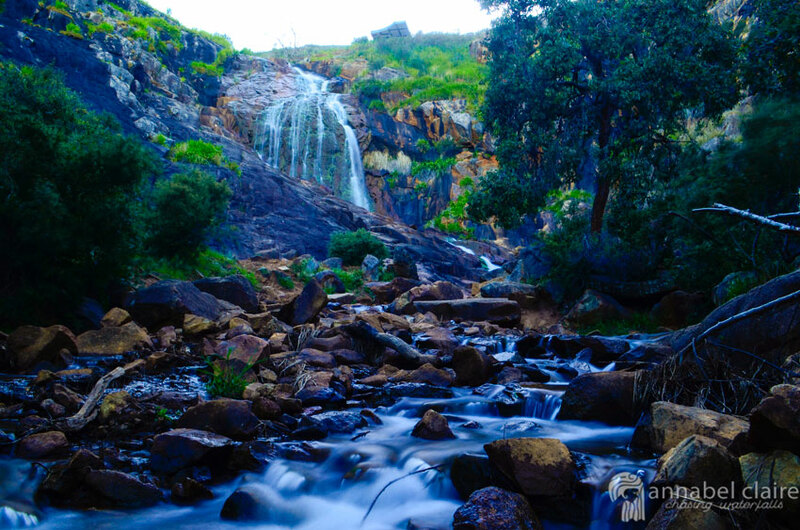 Lesmurdie Falls may not flow enough to form a pool, but they are a stunning spot to visit in any season. However, the above shot was taken during a very hot day. I had decided to cool off under the fresh spray – and believe me, it was worth it. 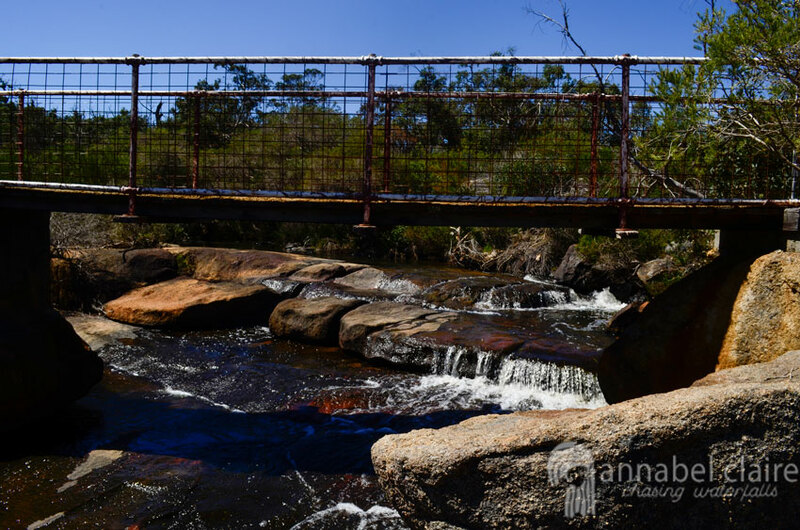 The falls are located a mere 30 minute drive from Perth’s CBD, with hiking tracks to a viewing platform (640m return) and the Foot of the Falls trail (2km return). Bring lots of water: it gets quite warm and staying hydrated is important. Be prepared for a steep descent/ascent: a huge part of this trail is downhill, which means uphill on the return. 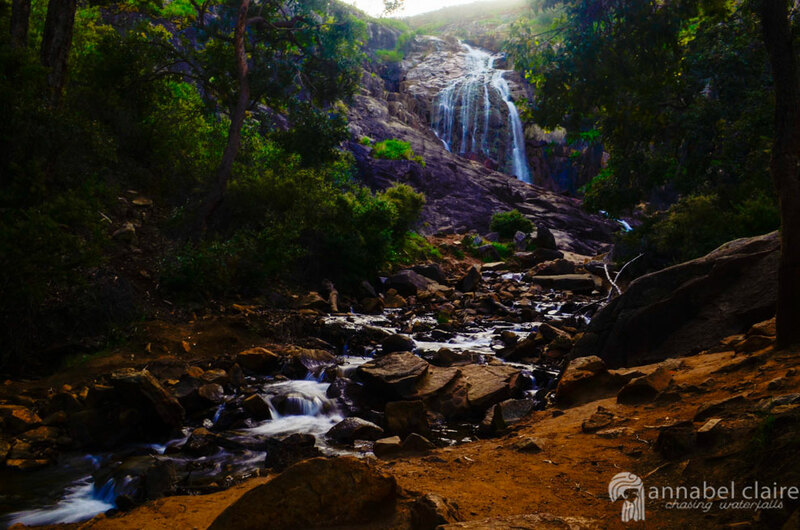 Stick to the trails: Lesmurdie Falls drop deep into a valley, so take extra care and don’t deviate. Click here for more information on finding these falls & tips once there. Prepare for disappointment: in the crux of summer after no rain, this beauty may be dried up. 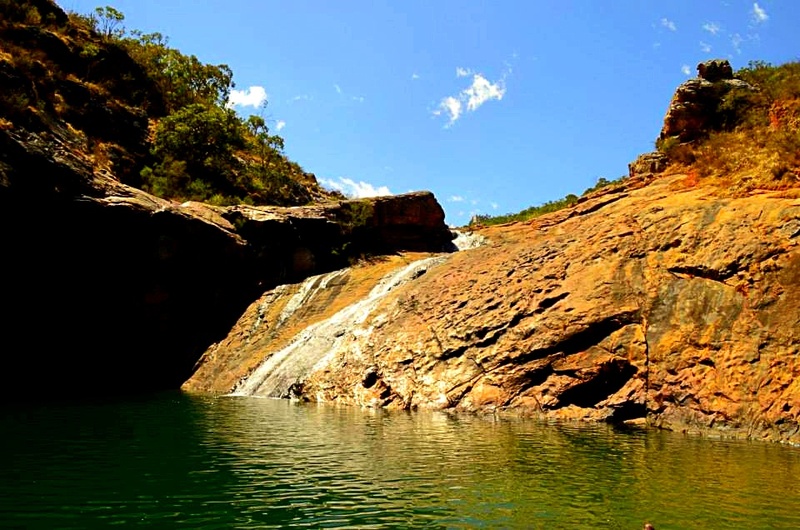 But if not, it’s a jackpot, which is why it made it into the Top 10 Waterfalls and Swimming Holes to Visit Near Perth. There are no facilities at Rocky Pool. A blog post is coming soon, so stay tuned (you can subscribe to my blog for updates via the homepage, or at the end of this post). 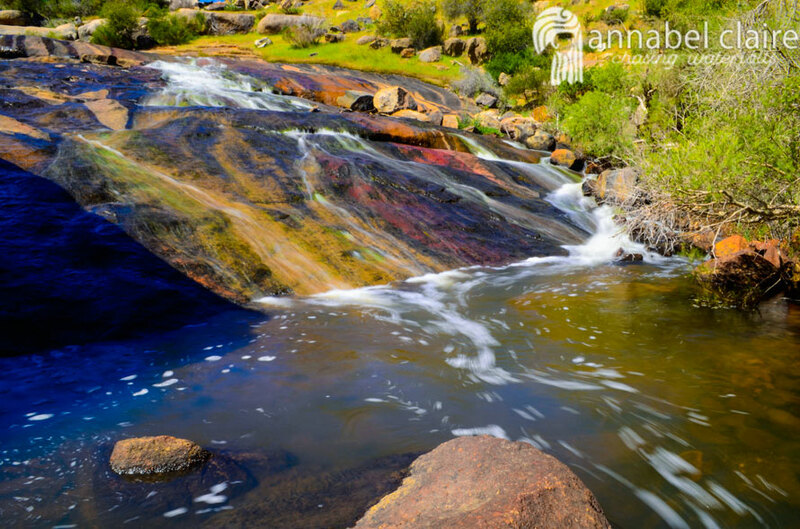 John Forrest National Park falls are a 40 minute drive from Perth’s CBD, and are a lovely surprise after walking through the old Swan View Tunnel. The falls are down in the valley and access to their base requires crossing a small bridge and following the signs that head downhill. This will be along a windy gravel path (last I went this was slightly overgrown, and the base viewing platform was blocked off due to damage). Getting there: A quick, easy and free way to access the park is by driving to the Pechey Road Carpark in Hovea (map below) and heading along the track that begins there. The Swan View Tunnel will soon appear, which is a good short cut (2km return to the falls), otherwise deviating around it is another option (3km return). Bring a torch: if going through the Swan View tunnel, this is a must. Wear good shoes: if going through the tunnel, it can sometimes be very wet and impossible to avoid puddles. Shoes with good grip will also help on the gravel paths. Click here for more information on getting here and tips & tricks once there. 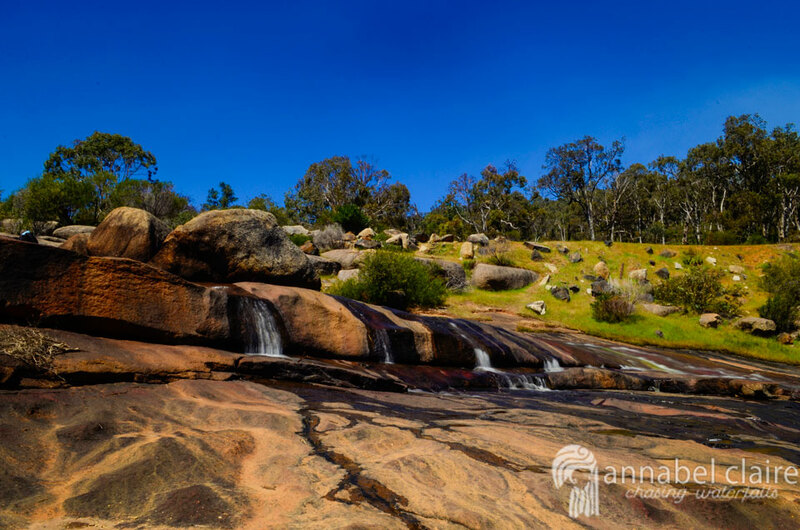 Number 5 in the Top 10 Waterfalls and Swimming Holes to Visit Near Perth are Hovea Falls, located in John Forrest National Park, approximately 2km further on from the National Park Falls. 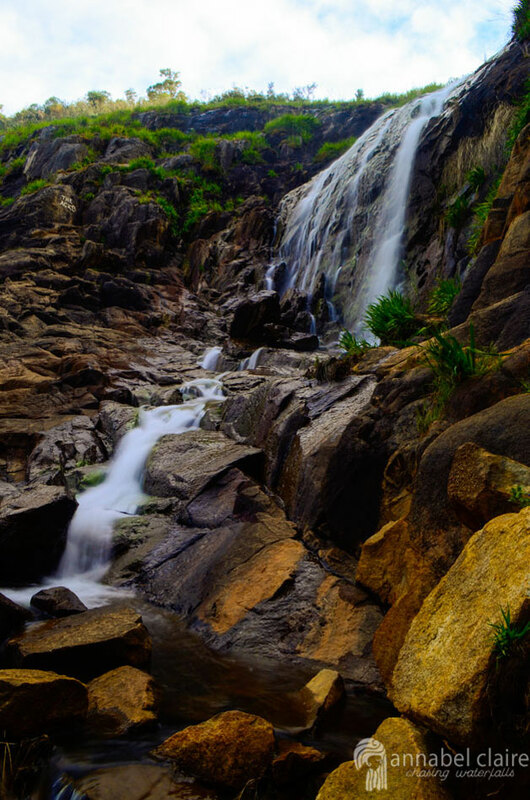 These falls aren’t really for swimming, but after rain the steady slope that meanders down the hill will provide a stunning landscape. 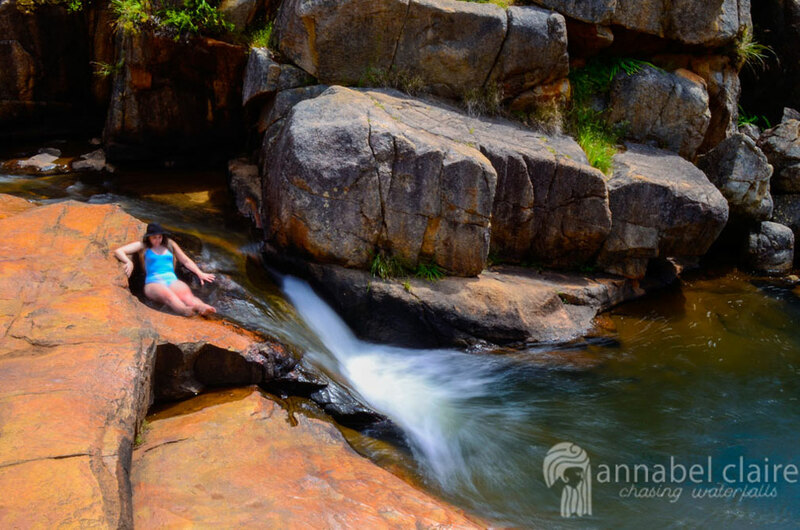 Even a thin flow of water is perfect for laying in, or admiring from the drier rocks. 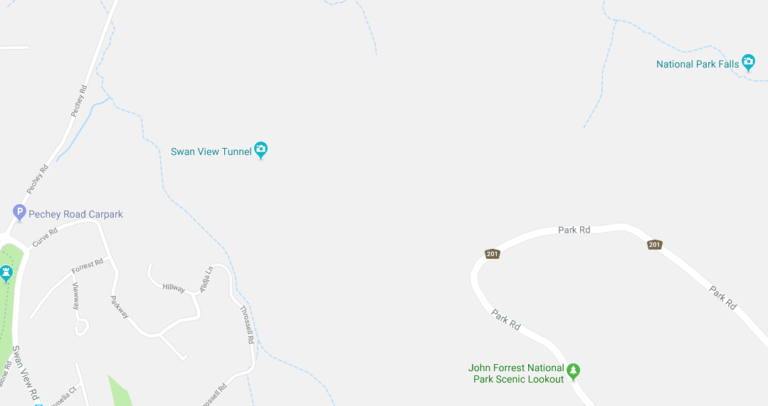 Take the shortcut: Rather than access Hovea Falls by foot after the John Forrest National Park Tunnel & Falls, a quicker route is to drive to a no-through road called Victoria Road. This is on the other side of the Tavern. Here, there is space to pull over on the side of the road and walk a short distance (roughly 500 meters) to the falls. Click here for more information and tips and tricks before you go. Personally I’m yet to visit this natural wonder, but I hear it’s a beautiful spot. Often confused with being called “Ellis Brook Valley Reserve” this pool is actually called the ‘Old Barrington Quarry.’ It is found along the Sixty Foot Falls loop trail. Sixty Foot Falls are only visible when flowing after heavy rain. This means it would be bone-dry in summer, but the quarry is worth the visit. Directions: Begin from the Valley Head carpark (35 mins from Perth CBD) where there will be signs indicating the walking trails. Try both viewpoints at the top and bottom of the quarry for a different perspective. One of my favourite locations is the gorgeous Black Diamond Lake, 5km from the old country town of Collie. Roughly 190kms from Perth, it will take 2hrs and 15 minutes to reach. Ferguson Road, the road the lake resides by, comes directly off Coalfields Highway and is unsealed, but in good condition. Be aware of the risks: a downside to Black Diamond is the suspected presence of amoeba in the water. There have been a few warnings issued about the water quality at Black Diamond. All relevant information can be found on the council’s report and also in an article by WA today. FYI, I put my head under the water and I’m still here kicking. Visit on a sunny day: the lake will look its bluest on a bright, sunny day. Bring fun floaties: they make for great pictures and something to lay on while enjoying the lake. Picnic rugs & tarps: to help with comfort. Try hanging tarps between cars, or bring a tent for some extra shade. Pair this with an esky full of delish food & drink and you’re all set! There are no facilities at Black Diamond Lake. Camping is not permitted. Click here for more information on visiting Black Diamond Lake. 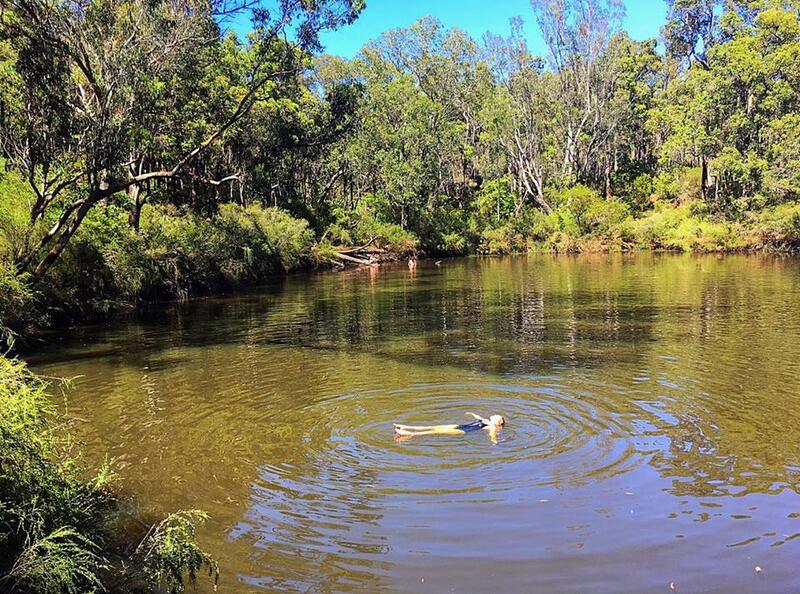 Another quiet spot is Barrabup Pool in Nannup (if it’s not during a peak camping time). 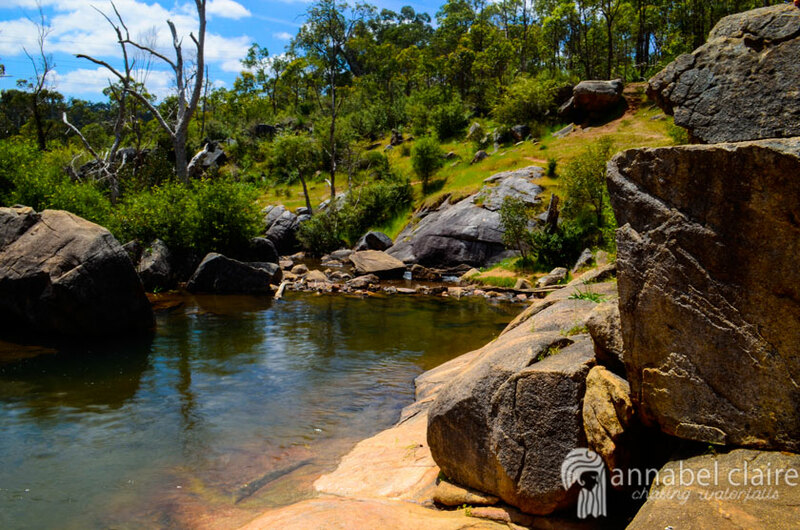 Located 280kms South of Perth, Nannup is a small country town located inland, though still in the shire of the South West region. It will take 3hrs by car from Perth’s CBD. 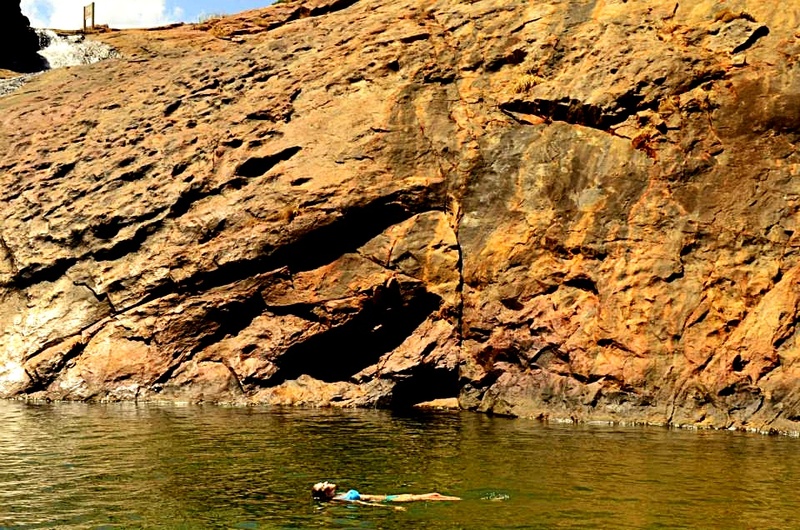 Plan an adventure: while beautiful, the pool isn’t worth the 3hr drive on its own. 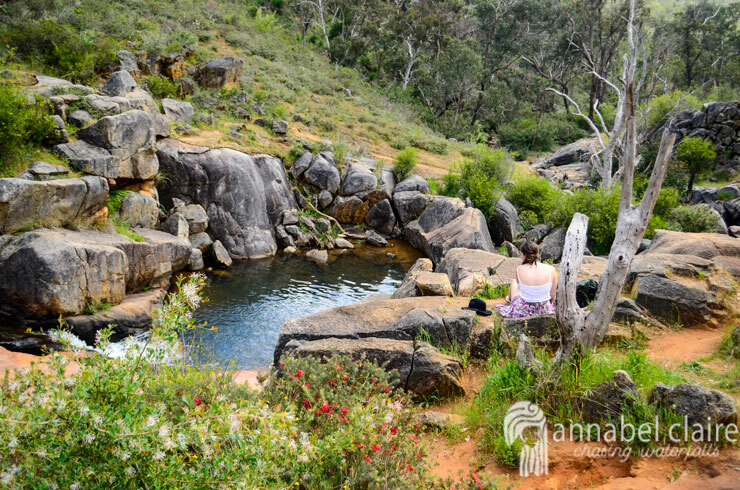 There are a few other pools nearby on the same St Johns Brook, but try also pairing it with a water-adventure day that maybe includes Black Diamond Lake, Honeymoon Pool, or beaches in the Margaret River Region. Water activities: canoeing and stand-up paddle boarding are popular here since it’s so calm. Camping: is permitted at the Barrabup Campground. Cost is $8 per night for adults ($6 concession) and $3 for children (ages 5-16). Facilities: toilets, picnic tables, jetty. The roads are bumpy and unsealed, but 2WD is fine. Click here for more information on Barrabup Pool. I’m yet to visit Honeymoon Pool in Worsley, but I’ve heard magical things. 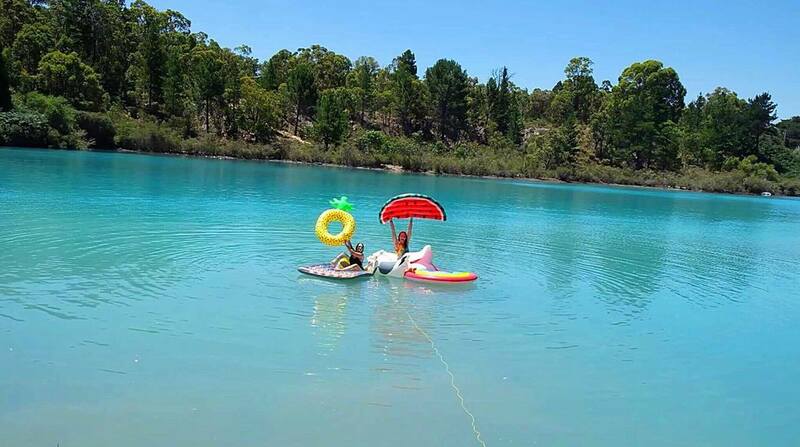 Located 2hrs and 15 minutes from Perth, the pool is easy to find because it’s a popular camping spot. Avoid peak times: for a quieter experience. Camping: Cost is $11 per night per adult ($7 with concession) and $3 for children (ages 5-16). Facilities: toilets, picnic tables, BBQs. Access: according to the Parks and Wildlife Service WA, River Road will be closed between Wellington Dam Road and Honeymoon Pool from until the end of March 2018. Access Honeymoon Pool from Wellington Dam Road during this period via Falcon Road and Lennard Drive (one way). Access from Honeymoon Pool to Wellington Dam Road via River Road (south), Pile Road and Falcon Road. 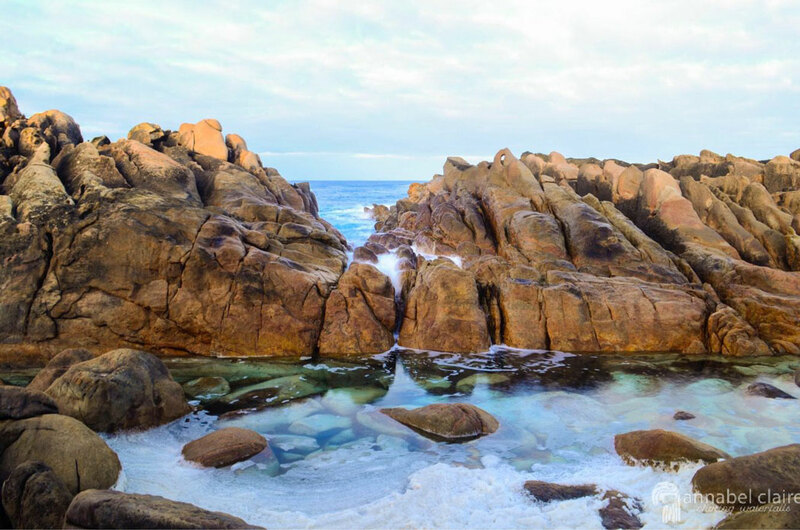 Last but certainly not least is my favourite spot on Earth, Injidup Natural Spa (AKA Wyadup Rocks) in Yallingup. 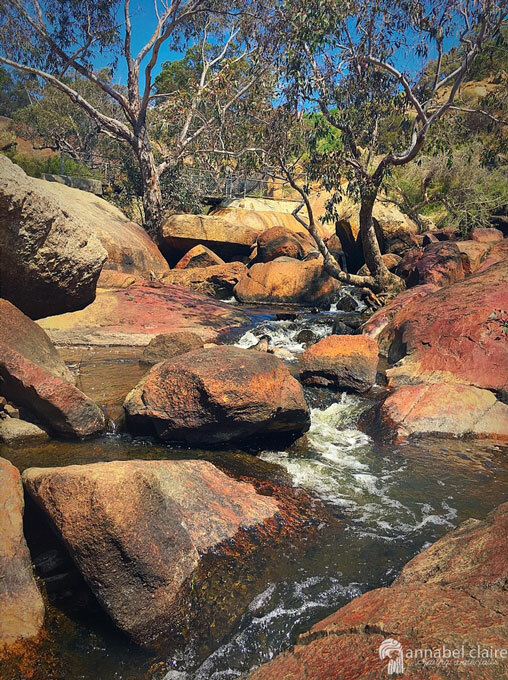 Located 3 hours South of Perth CBD in the Margaret River Region, it’s still well-worth a visit. 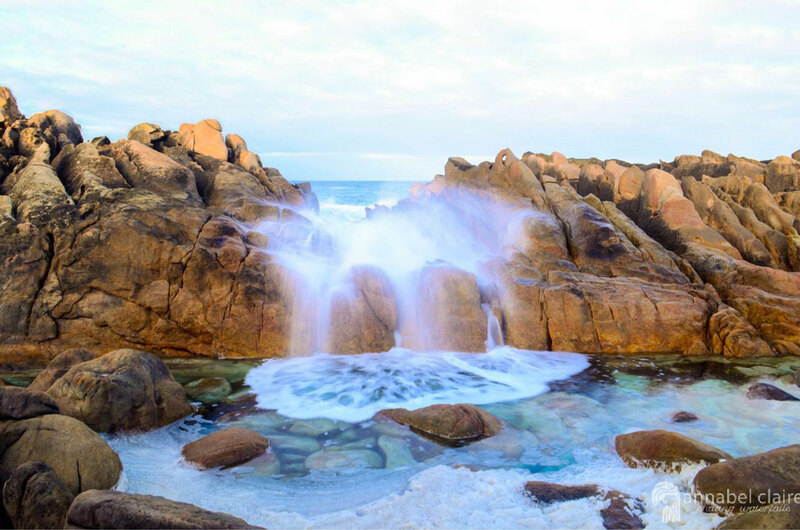 This rock pool is fuelled by the intense crashing of waves from the wild ocean on the other side. 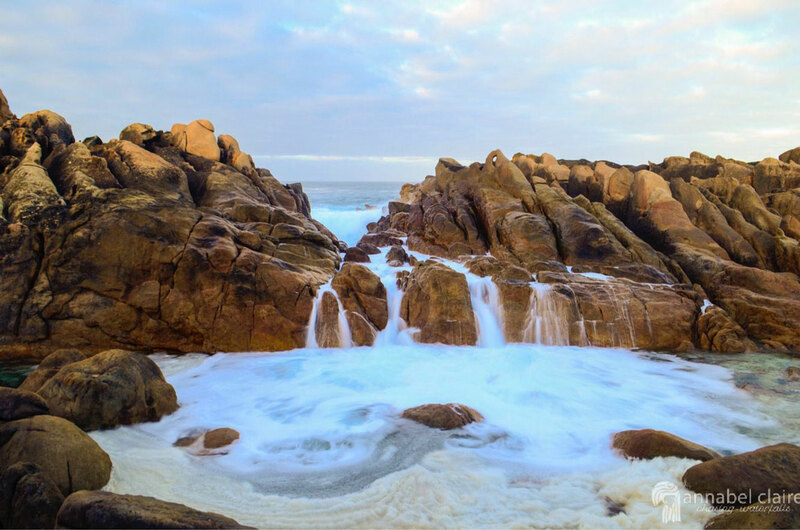 These waves ripple over the rocks, creating a waterfall. It’s a beautiful summer location, but I’ve also been here in winter, autumn, spring, at sunrise and sunset, and I can’t seem to fault it. Beat the crowds: ever since this spot was listed on SoPerth, people flocked to it like I do when there’s cheese Doritos at a party – quickly and without hesitation. Try visiting at the crack of dawn for some privacy, or while the sun is setting for a spectacular display. 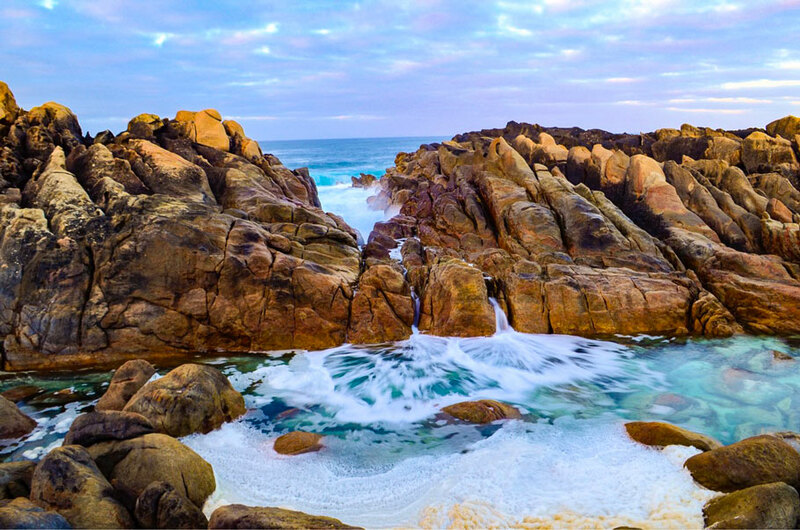 Make the most of it: the Margaret River Region is a beautiful part of WA. Be sure to do some exploring around the beautiful beaches and wineries while in the area. Click here for more information on Injidup Natural Spa. And that’s a wrap! 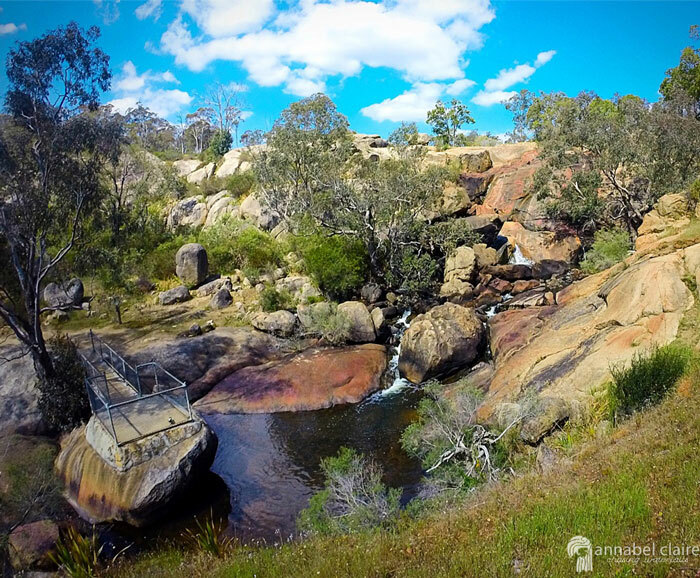 The Top 10 Waterfalls and Swimming Holes to Visit Near Perth. 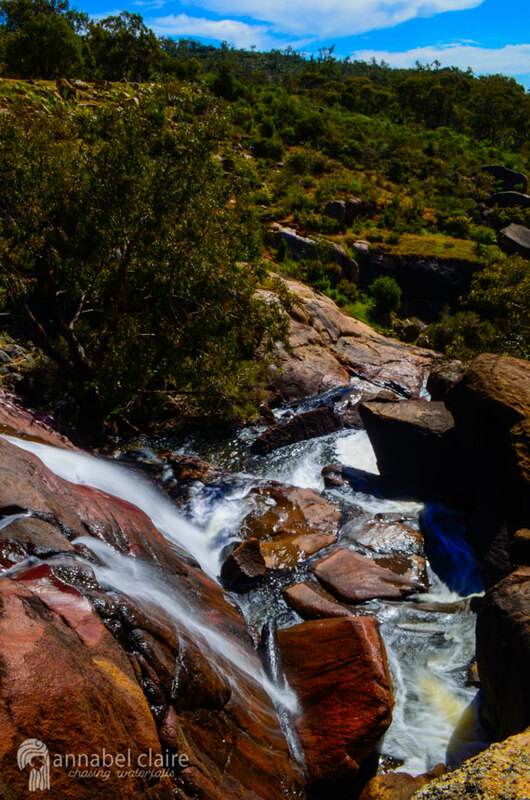 Go celebrate the last weekend of summer by exploring some of the beauty that Perth and it’s surrounding regions in WA have to offer. Thanks so much Kristin 🙂 Oh you really should try to make it, Western Australia is gorgeous. Great post! I’ve just started my holiday working visa in Australia. Started a bit backwards – in tropical Queensland for the wet and will end up in Melbourne by winter time. I was just wondering what these waterfall location were like around or immediately after winter time? Thanks!